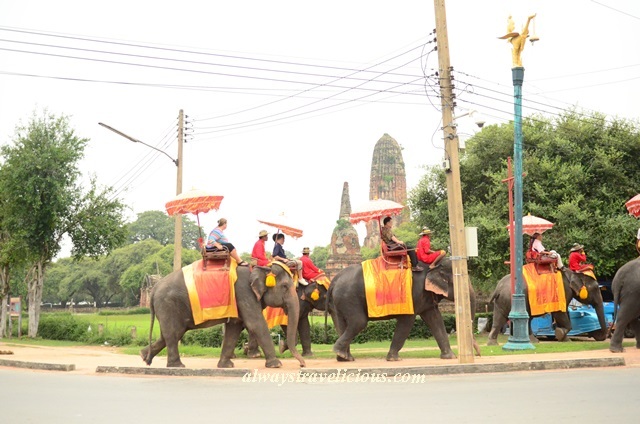 Ayutthaya Elephant Palace, Thailand - Always Travelicious ! 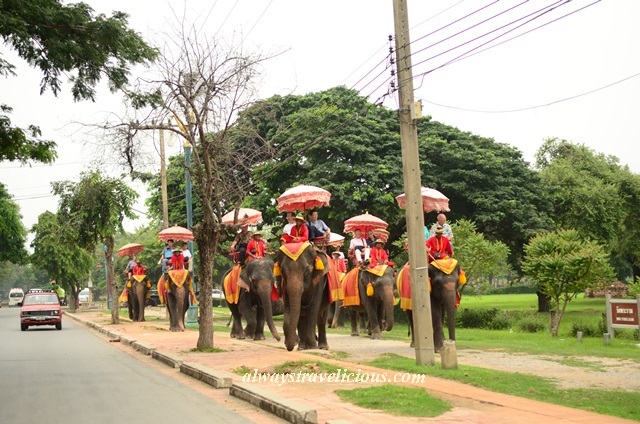 Visiting the Ayutthaya Elephant Palace wasn’t part of my plan. The tuk tuk driver pointed to his DIY well-illustrated map and asked if I wanted to go to go to the Elephant Palace. I thought the place seemed close enough so might as well. 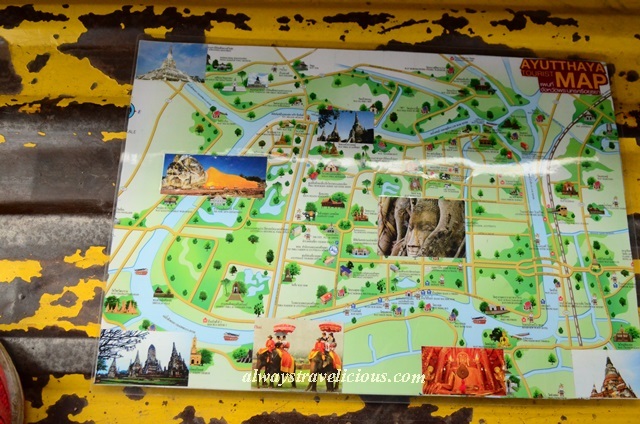 The tuk-tuk driver’s map, indicating all the popular attractions in Ayutthya. The elephants at the Elephant Palace are “working elephants” from Elephantstay, a non-profit organization where you can volunteer (or book a package) and get some close encounters with these magnificent creatures. Oh, so this is what elephant paw looks like! 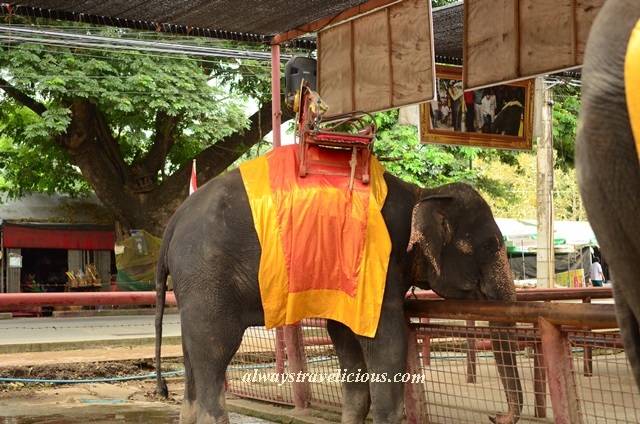 There are a few activities you can do here – 1. feed the elephants a bucket of vegetables (and check out their nostrils) (50 Baht). The elephants were definitely eager for food, reaching out their noses hungrily. 2. 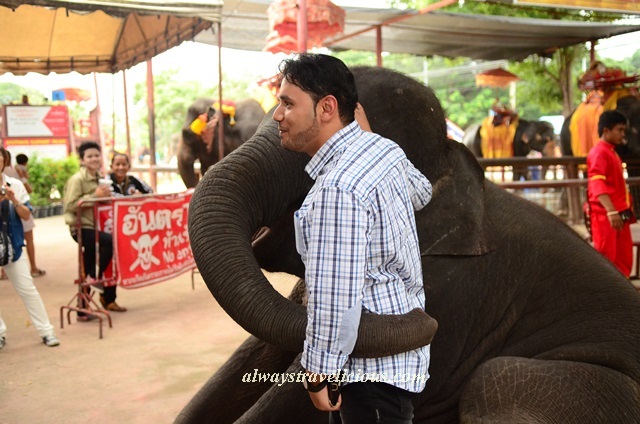 Pose with (or hug) an elephant and get your photos taken (50 Baht). The elephants seem to have a friendly relationship with the trainers, although a nasty pick was used as a way of communication between the trainer and the elephants. The pick wasn’t used too often, and the elephants didn’t react too much when the pick was used, perhaps protected with the thick layer of tough skin. Hopefully they are not mistreated in any way. It is utterly amazing how these charming mammals are trained for this. It is in my bucket list to ride an elephant, to be honest. And your post had given me a good idea on where to go when I go back to Ayutthaya next quarter. I’ll need to book cheap air tickets to Thailand ASAP. I really don’t like the pick. It looks painful! When I was there, I was alone and the sight of elephant walking on the road amidst theruins was fascinating if not magical. Yeah the prick look scary! good blog, i added you to my list. Love the photos! These elephants are too precious! Thailand never failed to amaze me. The mix of culture and nature is enough to make it an intriguing travel spot! hi there, izit worth to go to elephant palace as what I’ve read on the tripadvisor mostly are bad reviews but when comes to your blog it seems quite good. :)How long does it take to travel from Bangkok?Did you get to visit all the places which u listed out within 1 day or you overnight there?Thanks! Hi Esther. I spent 4 days 3 nights in Hua Hin. 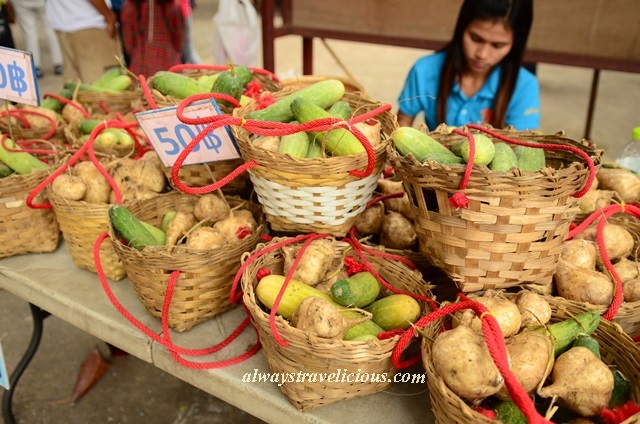 Bangkok to Hua Hin is about 3 hours by car, maybe even longer by minivan, so I think it would be good to stay at least one night or else you will be spending a lot of time in the car if you are going there for just for one day. The one I went is supposedly part of a non profit organization, but it still seems a bit commercialized though.